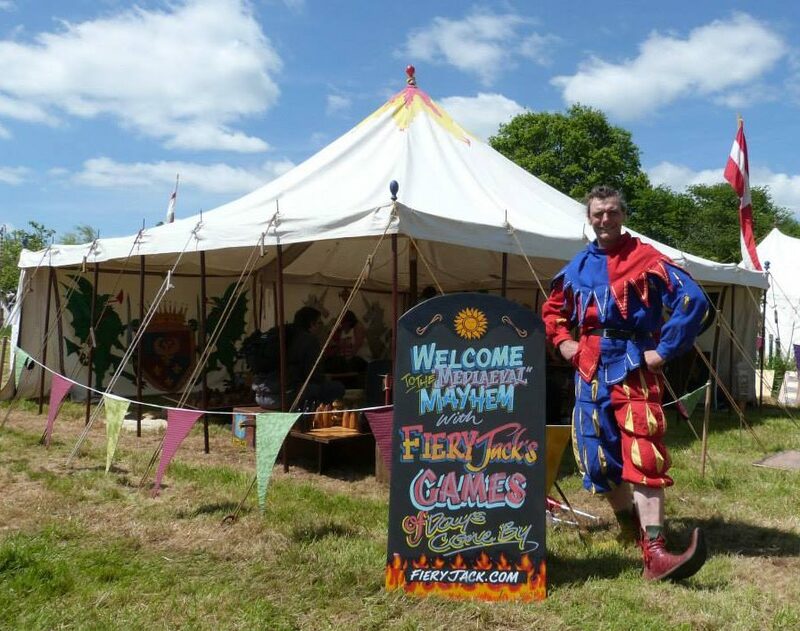 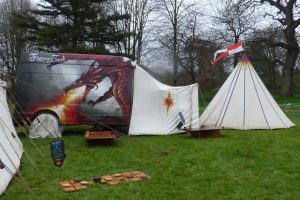 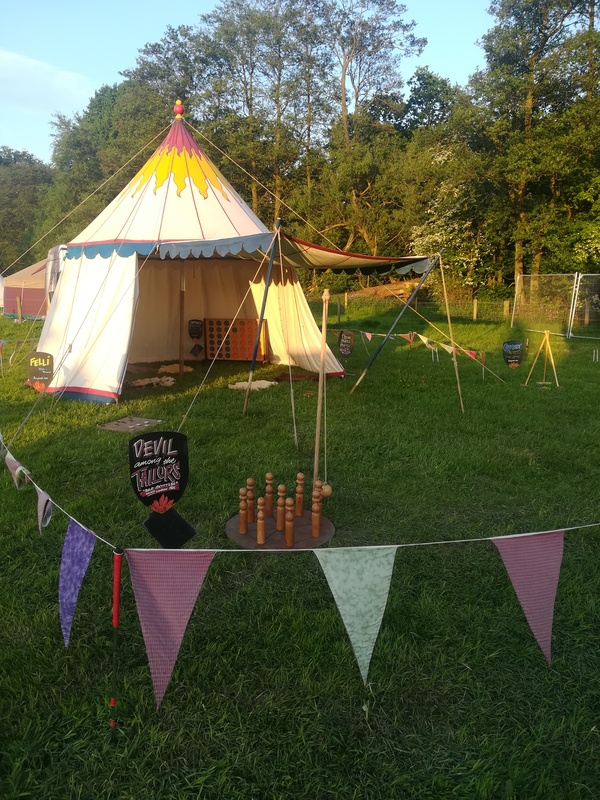 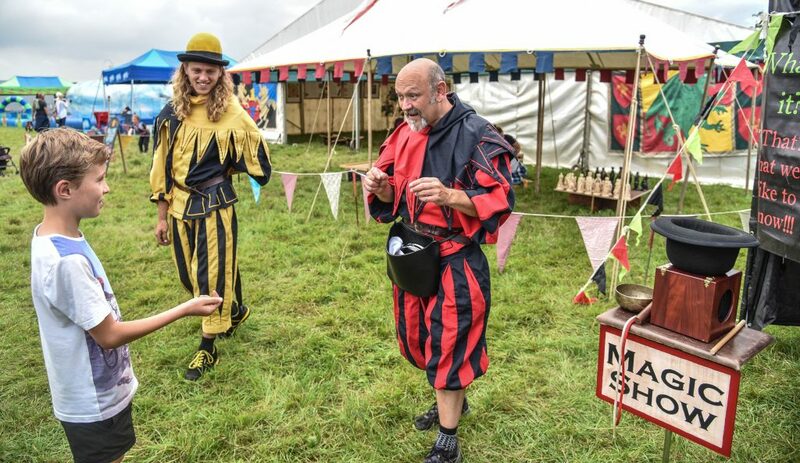 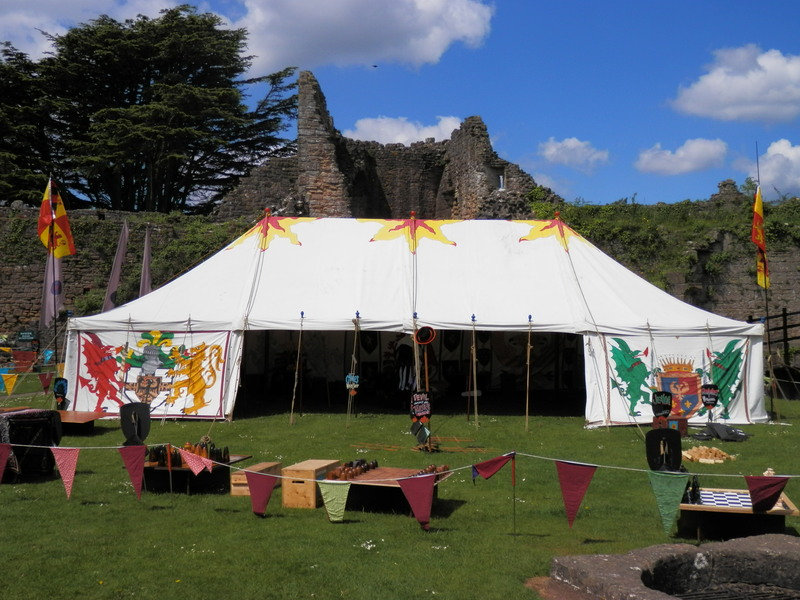 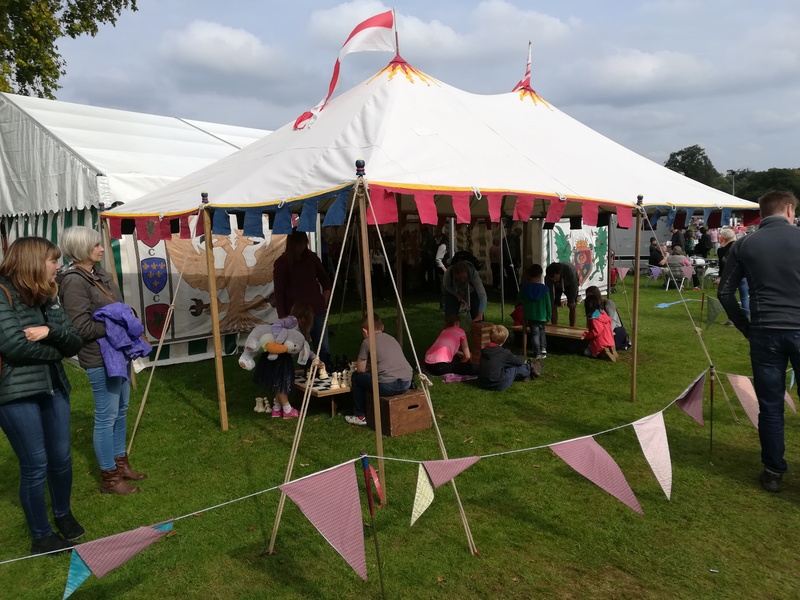 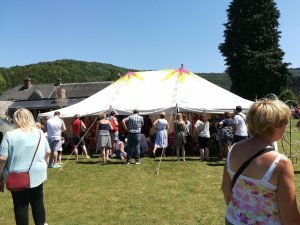 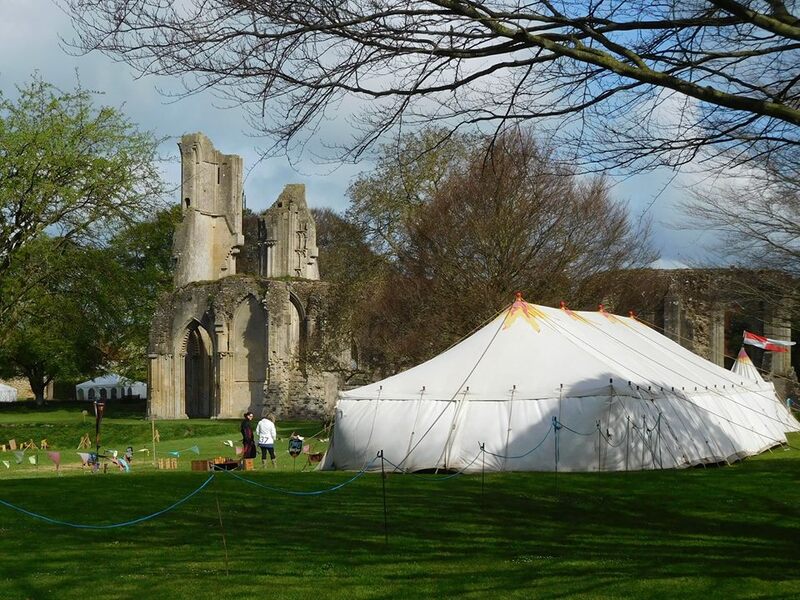 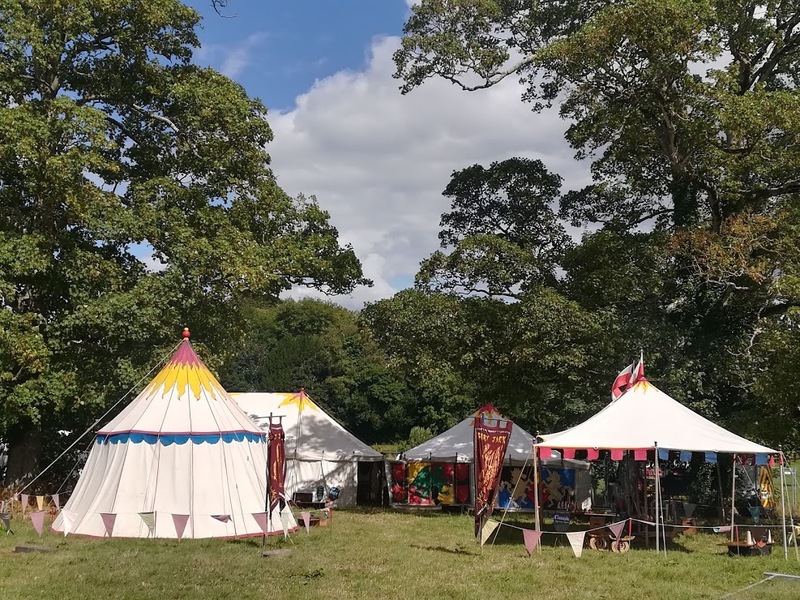 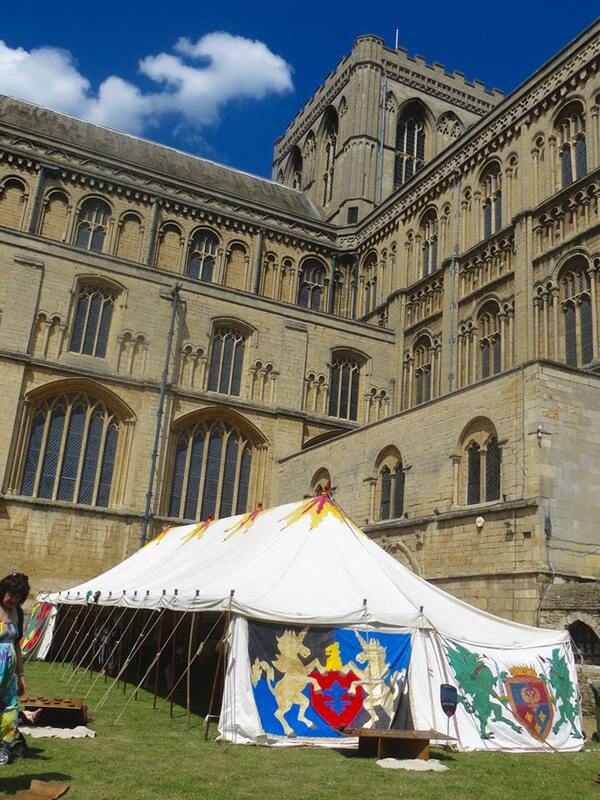 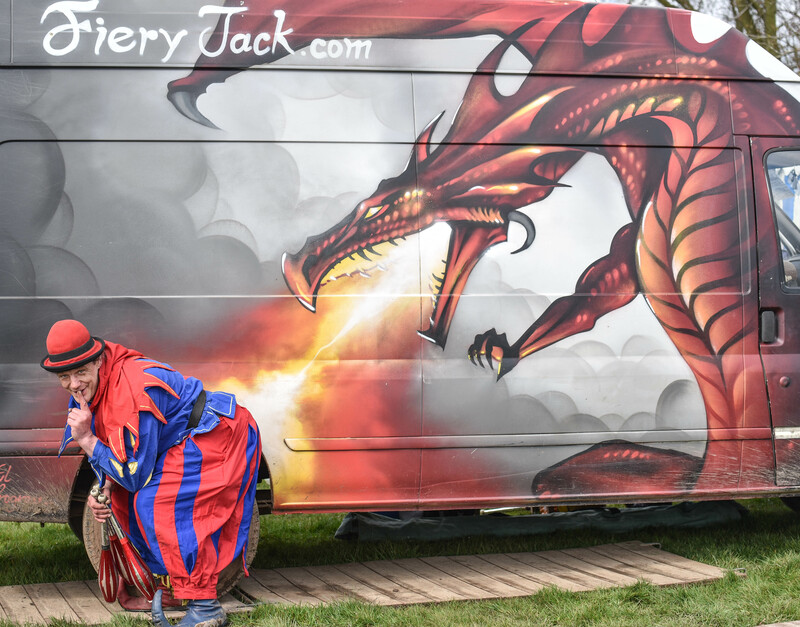 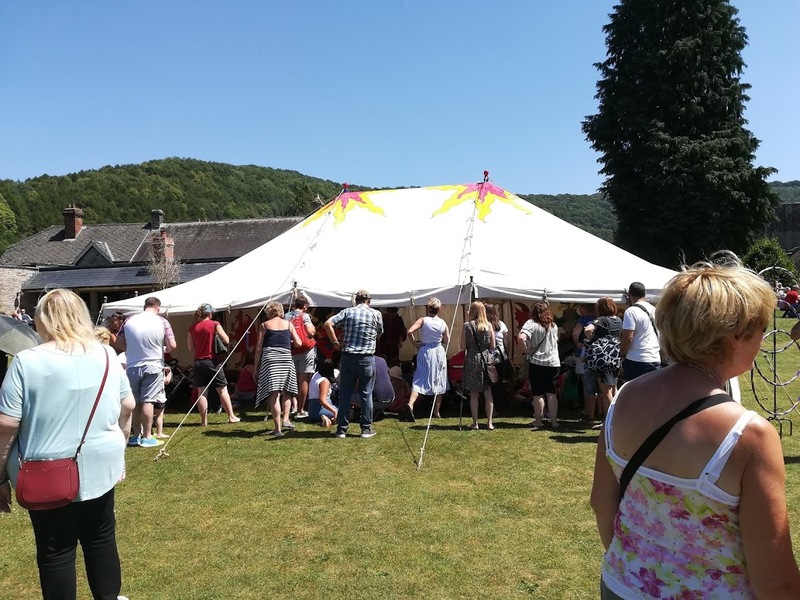 We have a selection of authentic, hand-painted canvas, medieval-style tents and marquees for hire. They are always 20′ wide but are available at different lengths: with one 4-master 20’x50′, one 3-master at 20’x40′, two 2-master’s 20’x30′ or two single-pole 20’x20′ square tents. 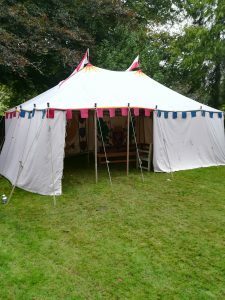 This makes a fantastic canopy tent, or with walls makes a great little rectangular space, adding a little shade or rain cover and making the whole area look pretty!